The Women’s Leadership Initiative (WLI) Southeast Florida/Caribbean is committed to increasing the number and visibility of women leaders in ULI and the real estate industry. We invite all women of ULI Southeast Florida/Caribbean to join in, participate, and connect with fellow women ULI members via the Women’s Leadership Initiative. Join us to learn more about the growing economic power of women and the importance of targeted design features for downtowns and urban places to capture more market share and maximize real estate value. The WLI Southeast Florida/Caribbean is part of a global ULI network promoting the advancement of women in real estate and development. To date, the WLI has provided programming for the Spring and Fall meetings, sponsored networking events and helped women navigate within ULI. The Co-Chairs of the WLI are responsible for representing the interests of WLI and advancing the mission of ULI within the WLI platform of activities. The Chairs participate on the District Council Management Committee and support and celebrate the efforts of the various WLI committees. Jenni is the President/CEO of the Fort Lauderdale Downtown Development Authority. Jenni joined the DDA in 2016 to spearhead efforts that stimulate investment and enhance livability in DowntownFTL. From building a new federal courthouse and city/county joint government campus to improving Downtown’s public realm through art, activation and capital projects, the DDA is focusing on initiatives that leverage and complement the $3 billion of private investment that is on the horizon in Downtown Fort Lauderdale. 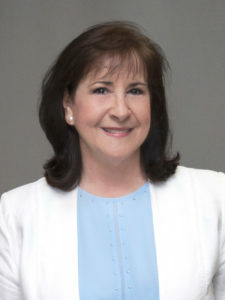 Prior to the DDA, Jenni served as director of the city of Fort Lauderdale’s sustainable development department. She graduated from the University of Colorado with a degree in environmental design in 1999. Cristina is the Senior Principal and Senior Vice President with Langan Engineering & Environmental Services. For over 30 years, Cristina has worked on geotechnical engineering experience throughout Florida, specializing in high-rise projects located in coastal areas. She has managed numerous high-profile projects, including SunLife (Dolphins) Stadium, Fontainebleau II & III Towers, The MET Miami, Turnberry Ocean Colony, Marine aBlue, and more. Cristina graduated with a Bachelor of Science in Civil Engineering from the University of Miami, and a masters in Geotechnical Engineering from Cornell University. Contact the WLI Co-Chairs or call (954) 916-7329 for more information.